Honeycomb expanded metal mesh,the most versatile and economical expanded metal mesh product,is made from the sheets or coils of mild steel,galvanized steel,stainless steel,aluminum,which are uniformly slit and stretched, forming a diamond pattern of openings in the finished sheet. Expanded metal has various of patterns by using the different molds. We are also good at shearing or forming the expanded metal sheets to any specification or desired shape. Because of those excellent characteristic,the honeycomb expanded metal mesh can be widely used in interior and exterior decoration,industrial,security guards,screens,ceiling,curtain wall,etc. Honeycomb expanded metal mesh is available in a variety of thickness and strand according to the applications and projects requirements. It is also available in a variety of surface, standard (raised) and flattened (smooth) surface.We keep more than 50 sets mold to make sure match clients` requirements. We also can make the design expanded tooling suitable for many architectural metal and decorative metal uses. The most common type we produce include carbon steel expanded, aluminum expanded, stainless steel expanded metal mesh products in Shanghai China. 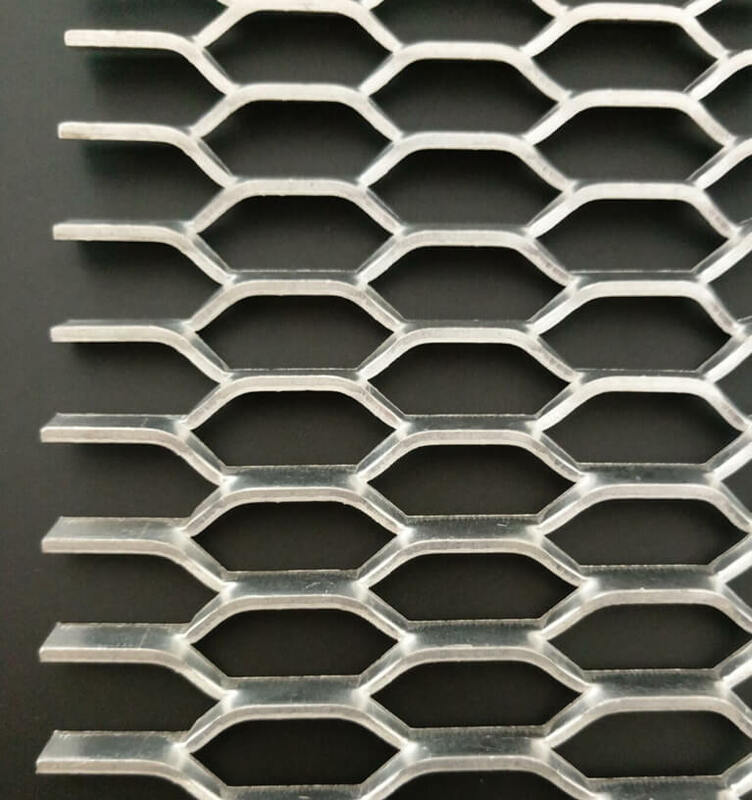 Honeycomb expanded metal mesh have a variety of applications in architectural,commercial,industrial and decoration.Such as suspended ceiling,curtain wall cladding,interior decoration, security, ventilation, guards, window protection, screens, flooring, walkways, bearing grating,etc.